Welcome to our homepage! 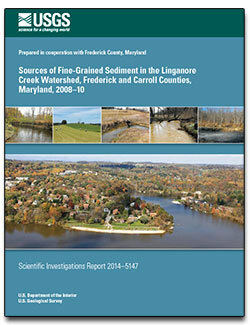 This site is your source for water-resources information collected and interpreted by the U.S. Geological Survey representing Maryland, Delaware, and the District of Columbia. In a first for Baltimore and the nation, the U.S. Geological Survey and the Environmental Protection Agency will soon be installing a suite of sensors that will provide the public and scientists with the first comprehensive, real time look at water quality in Baltimore’s Inner Harbor. 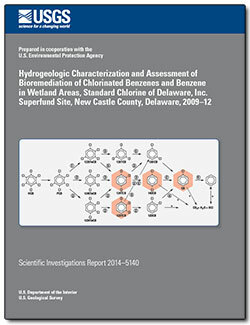 A new U.S. Geological Survey assessment of more than 20,000 wells nationwide shows that untreated groundwater in 25 states has a high prevalence of being potentially corrosive. The states with the largest percentage of wells with potentially corrosive groundwater are located primarily in the Northeast, the Southeast, and the Northwest United States. 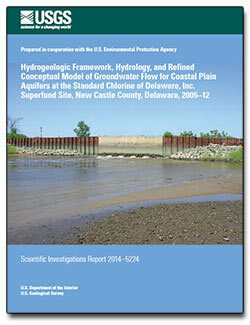 The USGS MD-DE-DC Water Science Center is organized into work teams to bring together projects that investigate similar water-resources issues, encourage sharing of individual expertise, data-collection methods, and personnel. Tuesday, September 19, 2017 at 11 a.m.
Maryland's water supply comes from streams and rivers, groundwater, and reservoirs. In the Baltimore region and other metropolitan areas, the primary source of water is surface water (streams or reservoirs). Water regulators, planners, and policy makers need to know how much water can be withdrawn from wells and streams without causing adverse impacts. The National Water Quality Assessment (NAWQA) is a national program of the U.S. Geological Survey designed to provide consistent and reliable information on the quality of streams, groundwater, and aquatic ecology in the United States. Primary goals of the NAWQA program include determining the status of streams and groundwater, identifying changes over time, and understanding interacting natural and human influences on observed status and trends. The Chesapeake Bay, the Nation's largest estuary, has been degraded due to the impact of human-population increase, which has doubled since 1950, resulting in degraded water quality, loss of habitat, and declines in populations of biological communities. 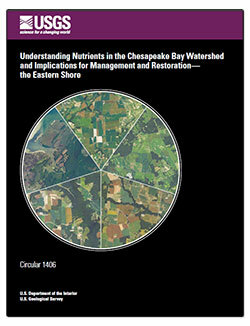 Since the mid-1980s, the Chesapeake Bay Program (CBP), a multi-agency partnership which includes the Department of Interior (DOI), has worked to restore the Bay ecosystem.